On October 8, an Iranian cargo vessel sank off the Sheikh Jaber Al-Ahmad Causeway near Doha, Kuwait. The vessel was en route to Doha when it ran aground near the bridge. The vessel suffered uncontrolled water ingress and eventually sank near the bridge pillars. 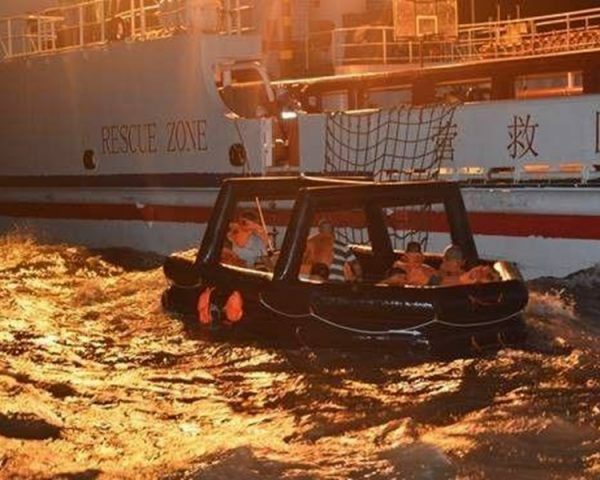 All six crew from the cargo vessel were rescued. No reports of injuries. Kuwait authorities dispatched a team to the scene to monitor the area for pollution. No further details disclosed including the cargo vessel’s name. 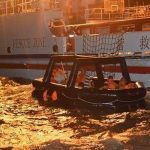 On October 8, the 84 meter long cargo vessel Fu Shun 67 capsized and sank near the entrance to the Minjiang River off Fuzhou, China. The Fu Shun 67 was proceeding with a cargo of steel when it lost stability. The steel cargo had shifted and the cargo vessel developed a heavy list. The vessel sent out a distress call and requested assistance. Authorities dispatched a helicopter and rescue ship to the scene. 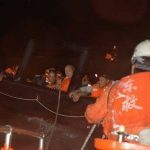 Before rescuers could reach the Fu Shun 67, the 10 crew abandoned ship just before the vessel rolled over and sank. Rescuers arrived on scene and eventually were able to rescue all 10 crew. No reports of injuries.